With all the new eco-friendly phone applications out there today, it’s like having a green guide in your pocket. Both the iphone and android phones are capable of keeping you updated with eco events, tips and green living ideas in practical ways. 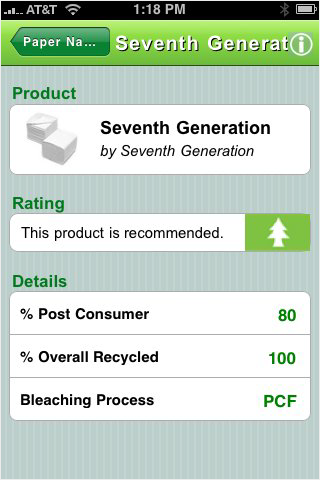 If you have an iphone, visit our Top 5 Must Have iphone Eco Apps. The android app selection is still behind iphone selections, but it is catching up with many vendors now duplicating their eco iphone apps for the android enabled phones. Keeps you up to date with the growing seasons in your area so you can select the locally grown produce grown in your area. Select your state or use the GPS to view local produce in season for your state. Also locates nearby farmers markets and can even search recipes. For those transitioning from the iPhone, it is very similar to the Locavore app. Allows you to look up eco-friendly home paper products in 4 categories: paper towels, toilet paper, paper napkins, and facial tissues. 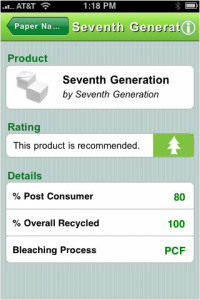 Shows you recycled content (both pre and post consumer content and bleach processing) and gives you recommendations on your most eco-friendly choices. Both a scrollable category list by manufacturer or search by brand. I find it very useful in quick decision situations, its just another way to stay informed and not get fooled by marketing greenwashing. Just do an android market search for Greenpeace. This handy little app is being used to accumulate data about visibility and air quality for research. Hopefully this will help researchers track air quality and better asses pollution levels for different areas at different times, all concurrently through a base of mobile users. It’s pretty simple, you just take a picture of the sky, select pixels from the sky and submit it to the USC lab. A great little app for collecting data about your driving habits and fuel economy. You must input your starting odometer reading, price per gallon and the amount of gas you put in each time you fill up, but the rewards can be fun if you like stats. The app will use this data to keep a running list of your totals and analyze these numbers in the statistics feature. Even better than an app, this widget works similar to your weather widget, giving you up to date news on the green scene. I’m not sure the sources of these news stories, but they do seem global in nature with updates and green news from around the world. Expands into a full screen reader for those articles you just can’t pass up. 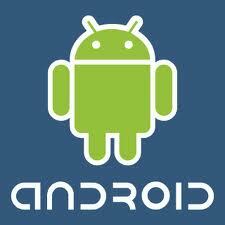 Thanks for finally writing about > Green Android Apps < Liked it!